Dubrovnik restaurants, I must admit, are fairly good. Seafood still seems to be the most common delicacy. The most popular seafood dishes you can find in many Dubrovnik restaurants are fresh seashells, octopus salad, squid risotto with black squid ink, and grilled fish. But we must admit to be pretty impressed with the diversity of Dubrovnik restaurants. Don't expect New York City dining scene, but compared with the rest of Croatia, in Dubrovnik you'll be able to taste different national cuisines to the certain extent. You can choose between Italian, French, Asian, Asian fusion, Bosnian, Mexican, International and Croatian cuisine. Not bad for a small town like Dubrovnik. Located along side the city walls, in the old harbor, restaurant Lokanda Peskerija is a very popular seafood restaurant. Its menu is limited, but the food is good, affordable, and the atmosphere at the restaurant is excellent. The restaurant offers simple Adriatic seafood dishes like fried calamari, mussels in a wine sauce, octopus salad, seafood risottos and alike. Food is served in small pots rather than in plates (which I personally find very cute). Interior is small, but it spreads on two floors. The terrace is right at the seafront, and almost always busy. Portions are generous, and service is decent. Located away from the crowds, within the Orsan Yacht Club on Lapad peninsula, restaurant Orsan is a seafood restaurant with a superb seafront terrace. My colleague from Dubrovnik invited me for a lunch here, so I assume that the restaurant has a good reputation among locals. They also offer daily lunch menus (cheaper option if you are on budget). Food is good, but restaurant's main appeal is its exquisite terrace. A bit away from the old town, on Lapad penisula, restaurant Komin is conveniently located if you are staying in any of Valamar hotels in Dubrovnik. However, it's worth a bus ride from the old town if you feel like tasting a simple, but honest Croatian food. This restaurant serves hearty traditional dishes, and has a charm of an old tavern with a big open fire place. We've tasted here traditional Croatian dish – Peka. Peka is a special cooking method where the food is cooked in a shallow but wide casserole covered with a terracotta or metal lid. The casserole is covered with burning wood embers and cooked slowely. We ordered lamb and veal Peka with delicious potatoes and other veggies. The dish was delicious, juicy, and meat was very tender (I am not a big meat eater, so I attacked the veggies like there is no tomorrow). Back to the old town, restaurant Nishta is the only 100% meat-free restaurant in Dubrovnik. The restaurant offers vegetarian, vegan and gluten-free dishes. This is a must-go restaurant for any vegetarian or vegan visiting the city (and not solely because it's the only one in the town). And it is a nice place to go even if you are not vegetarian (we can all take a day off from meat or fish). Tucked away in one of the narrow alleyways leading off the main street, its interior is colorful, but tiny, with seating only for maybe 10 people. The restaurant also has a nice outdoor terrace for dining out on a warm day. Considered one of the best fish restaurants in Dubrovnik, restaurant Proto is located in the old town, just off the main street Stradun. This is one of the rare restaurants in the old town frequented by locals. It's an upscale place so the dining here doesn't come cheap. We were invited to the restaurant Proto by our business partners. The first floor terrace is gorgeous. The food was excellent, and the service very attentive. Read our full review on restaurant Proto. Despite its name, the restaurant Taj Mahal serves traditional Bosnian dishes. Tucked away in one of Dubrovnik old town's back streets, this small restaurant is not easy to find, but it's definitely worth searching out. Interior is small and get busy quickly (it can accommodate maybe maximum of 25 people). Outside terrace offer some additional seating on a sunny days. Although they do have some vegetarian options (e.g. filo pastry with spinach), this is a mecca for meat lovers. Tucked away in a small alley next to the Cathedral, Sushi & Oyster Bar Bota has a sleek interior and splendid terrace. This is a family-run restaurant with long tradition. They have their first restaurant in Ston, famous for its oyster and seashell farms. Now the family runs four restaurants throughout the country (Ston, Dubrovnik, Split, and Zagreb). The offer is simple, but the food is simply divine. The menu includes fresh oysters and oysters tempura, fresh-made sushi, sashimi, spring rolls and few local specialties including home made prosciutto and fish carpaccio. Staff is warm and welcoming, the ambiance is beautiful, food is delicious (and very fresh!). The prices are affordable considering the quality of ingredients and the location. Read our full review of Oyster and Suhi Bar Bota in Dubrovnik. If you are into a fusion of Asian and Croatian cuisine, you'll be happy to eat at the restaurant Azur in Dubrovnik. Tucked away in a small side street, not far from the famed Buza bar, the restaurants Azur is a tiny joint offering Thai-style dishes. Their seared tuna sliced steak is awesome and a must-try if you are a seafood aficionado. Read our full review of the restaurant Azur Dubrovnik. Which restaurant you are most likely to choose in Dubrovnik? Let us know in the comments below. Thank you, Frank, for sharing your personal expertise! We are spending my birthday in Dubrovnik this August (on our first trip to Croatia) and just made reservations for the terrace at the Orsan Yacht Club. It’s always reassuring — and such a nice service on your part 🙂 — to have a recommendation from someone who has a personal relationship to the area. Happy to have discovered your blog. Where can I get traditional Croatian food in Dubrovnik? I grew up with my baka making me lots of palacinke, dumpling soup, mlince, chevapi. Suggestions? Your website has been lots of help! Hi. We’re coming to Dubrovnik on the 16th and were thinking about booking a special restaurant for our friends birthday. We’re considering Villa Ruza , but I notice it’s not on your list , is it because it’s Kolocep or do you have better recommendations. Villa Ruza is an excellent choice for a birthday dinner. Its location, right at the seafront, is superb, and the food is fresh and well prepared. Thank you for such informative website on travelling and living in Croatia. Your love for Istria has spurred me to make a detour to come visit the town of Motovun and also to try the thin crust pizzas with loads of tomato sauce . I have been researching on the web a lot, but can’t seem to find a way to get to Istria by overnight bus/train from Austria. My best friend and I will be in Hallstatt, Austria on 22nd Sept. Am wondering if you have any experience travelling from Austria to Istria? Hope you can enlighten us because we really wanna experience Istria through your eyes, before we head to Plitvice and Dubrovnik. Hi Kylie, thanks for reaching out to is. 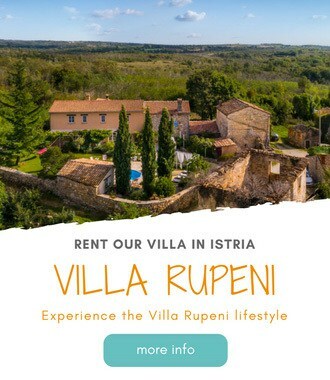 Glad that you are considering to visit Istria. I don’t think there is an overnight bus / train connection from Austria to Istria. I could only think about a bus/ train to Ljubljana or Zagreb; bus to Istria or Rijeka, and then to Istria. Or if there is a easier / faster connection from Austria to Trieste (I couldn’t find it), and then from Trieste to Istria. Let us know if we can help with anything else. Eight times out of ten I’d pick a seafood dish but that lamb and veal dish from Komin looks fantastic. We too, Sam! We love sushi, and it’s so hard to get it in Croatia (as far as I know you can only get it in Zagreb and Dubrovnik). I am a lover of seafood so I think that many of these options would be perfect for my tastebuds. The Orsan restaurant looks particularly appealing as you can sit out on the marina terrace overlooking a beautiful view, that’s a great way to have a relaxing lunch before heading out exploring Dubrovnik more. Thanks, Chris! Oh, yes if you are a lover of seafood, Dubrovnik restaurants would definitely be perfect for you. Love that terrace too! I would die for a plate of Lamb & veal peka with potatoes! NO JOKE! Thanks, Agness! The food is so juicy when made this way. Have you tasted it? This lamb & veel peka looks really appealing, I would try this dish first from your post and after that I would eat all the seafood! You’re welcome, Tara! Peka looks pretty delicious, isn’t it?! Even though I’m more into fish I totally would love to try Peka. I like vegetarian food as well (the real vegetarian dishes, not the ones where they only replace or skip the meat) so Nishta is definitely on my list. The view at Restaurant Orsan, looks like it would be very easy to linger there for several hours with a bottle of wine. Thanks, Brianna! Yes, that terrace is really special. I love eating outside, and especially by the sea. Everything even tastes better! Mmm!! i want to try that peka. I know the first thing I do when I make it to Croatia is eat as much as I possibly can. I’ll be in seafood heaven! Thanks, Samantha! If you are a lover of seafood, this would definitely be a place to enjoy it. I did some research into the vego food before I went and heard great things about Nishta… It really was great! Thanks, Anastasia for the addition. I wanted to mention Presa, but simply forgot to do it. Thanks heaps to reminding me about it. It’s a good, simple and affordable. And it’s right downtown. I also love dishes served in pots and pans. All of these restaurants seem to have a cool atmosphere. And this post in general is reminding me that I haven’t eaten breakfast yet. These are the best, aren’t they?! For me food kind of taste better immediately. I love it when they serve up your dinner in pots and pans too, one of my favourite meals was in calamari in a frying pan in Cape Town. And there’s something about overlooking the water whilst you eat too. My waist line will certainly suffer if we ever visit Dubrovnik (which I hope we do some day!). You too?! Yes, we love it, and we are usually sold on such small cute things. It gives a certain style to the place. It feels like you are eating in somebody’s house and not in the restaurant. It’s just very casual. I totally thought I’d seen this post before, and then read yours and SJ’s comments above and thought that must be why! Thanks, Sammi! Yes, Croatia is small so we’ll have to overlap sometimes. But I was shocked to find we haven’t had more places in common. Wow, what are the chances we both publish the same type of post within a few days of each other. And we both selected Nishta – of all of the places huh! I for one wanna try the Bosnian dishes, I’d love to compare the difference and see it. Thanks Frank.